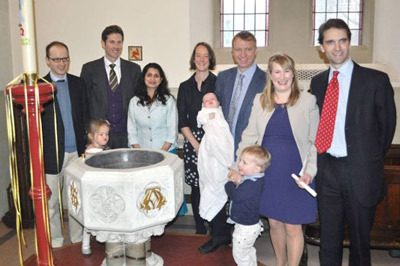 The Baptism service at St James’ is almost always integrated into the main Parish Mass at 10am so that the whole community is able to welcome each new member into the family of God. The form we use at St James’ is an expanded version of the rite found in Common Worship. 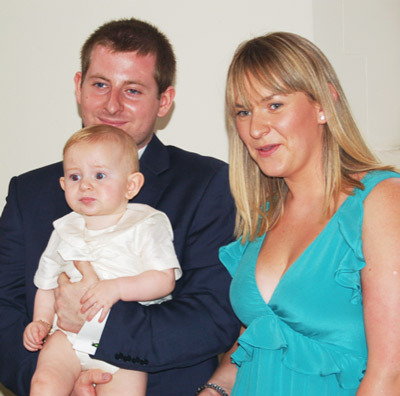 Families are encouraged to take a leading part, not least by choosing the hymns and readings. So what happens? As part of the general welcome, the child is brought to the front of Church by their parents so that we can hear something of this particular child’s story. 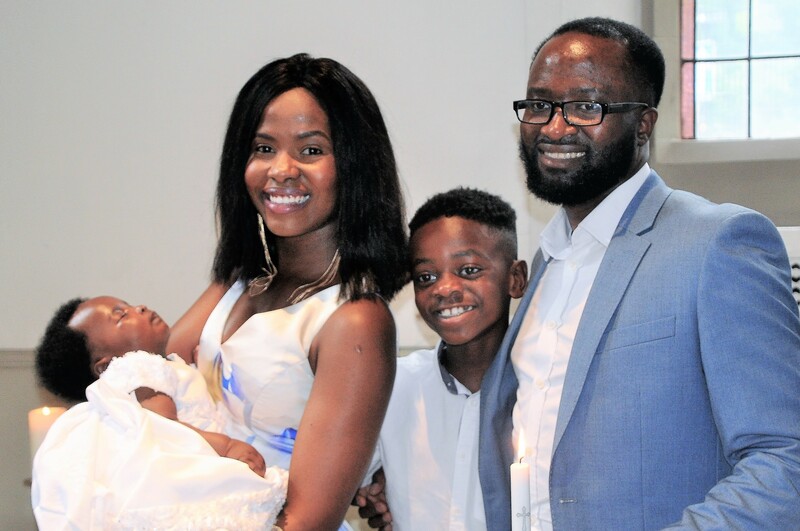 Then, after we have heard some readings from the Bible and a short address, the parents and godparents return to the front and, on the child’s behalf, make solemn promises to follow Jesus wholeheartedly and to resist evil. During the next hymn we gather around the Font and, as we hear the words of blessing, we remember how important water is as a symbol of God’s constant, loving presence. We remember how Moses escaped from Egypt on a dry path through the Red Sea and we recall how Jesus was baptised by his cousin John in the River Jordan. Together with this new Christian we leave the past behind and look forward to the future with Jesus as our friend and guide. As a sign of that new beginning, water is poured over the child three times. Here begins a new life in God: Father, Son and Holy Spirit!